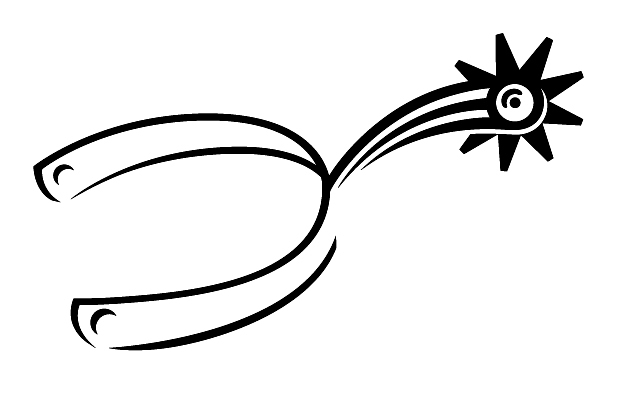 Jared Unzipped: The Importance Of A Deadline. 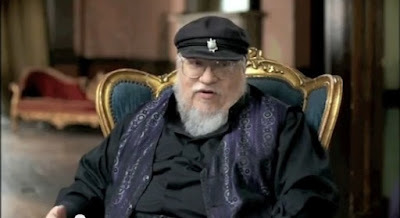 As I've browsed current news aggregators over the past few days, I have noticed numerous headlines relating to George R. R. Martin, creator and writer of the ongoing A Song of Ice and Fire book series. In short, he's recently revealed that the HBO television series based upon his stories, the wildly popular Game of Thrones, will from here on spoil the content of his books. In the simplest of terms... he's not writing the books fast enough to keep up with the filmed adaptation. Martin was due to complete and publish his latest novel, entitled The Winds of Winter, by the start of 2016. This was intended to compliment the forthcoming April premiere of Game of Thrones, set to begin its sixth season. Instead, season six will venture into territory Martin has not finished writing yet. Producers and writers of the HBO program were forced to rely upon notes and story guidelines provided by Martin, not his published work, to complete the newest season. Before I wade any further into this quagmire, I want to be clear in my motivation for writing this article. I am not a Game of Thrones fan. I have not, nor do I ever intend to read, A Song of Ice and Fire. As the old saying goes, I have no dog in this fight. Whether Game of Thrones succeeds or fails is of little consequence to me. Instead, I believe this bit of news presents an excellent opportunity to highlight the importance of deadlines. 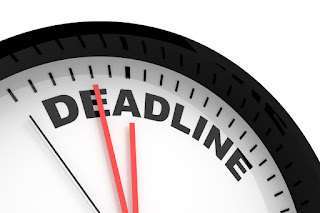 Deadlines are extremely important for writers. They prompt a writer to focus on the task at hand, with little attention spent on anything else. As with many writers (myself included), the deadline fills the role of domineering taskmaster. Without a deadline, writers will expand their work into unnecessary and often trivial bits of exposition, taking away from the content of the core story. Even worse, a writer can fall victim to laziness and apathy, letting their focus slip entirely and potentially go many days or weeks without furthering their story. "I am not going to set another deadline for myself to trip over. The deadlines just stress me out." Blast it, that's what a deadline is supposed to do -- stress you out! It makes you complete your work, perfection be damned. Sure, you won't get to describe each and every meal your characters eat from the first page to the last, but that's the point. Quantity of pages has little bearing on the quality of a tale. If anything, so much of what makes a story enjoyable is what you don't describe to your readers. Make your audience think independently and fill in some of the gaps. Just as relevant is the necessity to let a work be finished when the time is right. Not every nook and cranny has to be finely crafted and polished to a shine. Every chapter does not require a rewrite. Some characters should be more developed than others. Ultimately, a writer has to treat their story like a child. It's born, it grows up, it moves out. At some point, you have to let it go and allow the story to stand on its own merits. As a writer, I couldn't agree more. I can't judge Martin's career, nor his degree of success. Clearly, he's an accomplished creator and garnered immense wealth from his imaginative talents. Yet, I can't help but call a spade a spade. Whether Martin realizes it or not, he represents the writing profession the world over. This holds especially true considering Martin's A Song of Ice and Fire / Game of Thrones is arguable one of the most popular pieces of media on the entire planet. It is imperative that he respect and venerate the deadline, for all its earthly necessity. Writer's need deadlines, or else little would ever be published. A deadline is the spur that urges a writer ahead, digging into the ribs of a creature susceptible to over-thinking, lethargy and introversion.